The world of high fashion has been invaded by legendary DC Comics superheroes. 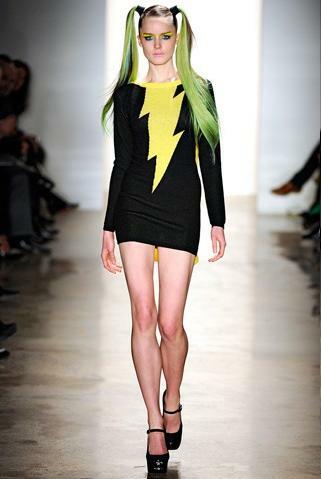 Fashion designer Jeremy Scott brought a line of clothing inspired by DC Comics superheroes to New York Fashion Week this year and sent it down the runway. 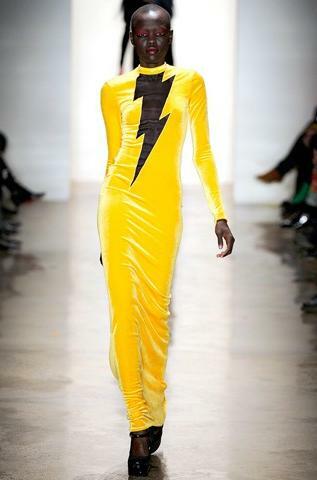 Scott's line includes seven different looks that use the designs of Superman, Batman, Wonder Woman, and Shazam/Black Adam replicated in the world of high fashion. 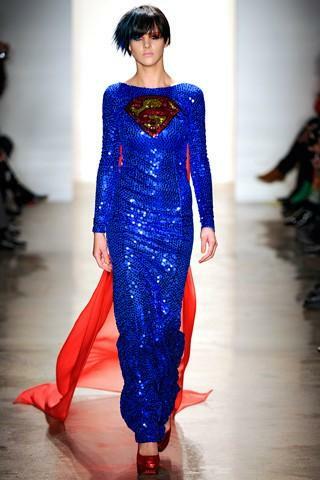 One of Scott's items is a sparkly, sequined, full-length blue dress with a Superman logo using a "?" instead of an "S" that also features a cape. 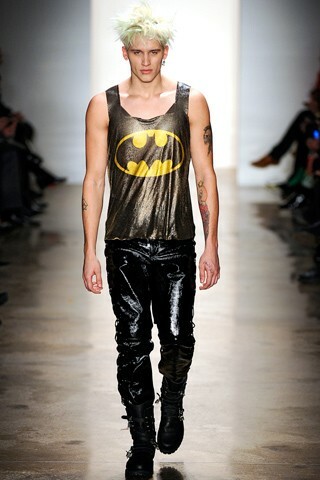 The Batman look is what the caped crusader might wear to a rave. It's somewhat of an odd sight to see models go from Calvin Klein to comic books. They might have to bulk up a bit if they want to actually save anyone. I'm not exactly a fashion expert, but these interpretations of classic comic book heroes are looking good to me. Scott is apparently known for taking inspiration from other fictional characters like the Flintstones and Mickey Mouse, so he might be worth keeping an eye on even if fashion isn't your thing.